The view from my desk looks out onto the deck and across our back yard. I love the natural light, the birds, the trees–even all the fallen leaves like reminders of blessings at this time of year. Today, I was happily typing along on another project (an inexorable book submission proposal) and I kept hearing the oddest clicking sound. Does your house make funny sounds? Our house is an older one, so funny sounds do echo about now and then. Certain floorboards creak an achy “Hello” when I walk over them. One light switch in particular makes a loud, grouchy CLAP when I switch it on like it would much rather continue sleeping in darkness. Even our newer washer and dryer call out their own version of a Revolutionary War song each time a cycle ends. It’s a rollicking time! But this was a new sound. Of course, at first I thought it was a drip in the sink. Nothing stirring there–not even a soap bubble. Was our family’s furry friend chewing on squeaky toy or a crinkly Hershey bar wrapper? No, he was dozing in the sun on the hall rug. Still the clicking continued–and so the plot thickened. Into the kitchen, I went. Yes, I’d completely turned off the gas on the stove after heating my lunch. (It was vegetable soup–wish you could’ve joined me!) The clock on the shelf was quietly ticking, definitely not clicking. The cutest little chipmunk ever. (Aren’t they really all cute and little!) I’m afraid you’ll have to imagine the little imp, just to the right of the fern, nestled in the leaves, and looking straight at me, for he turned and dashed right into the ivy in a blink. Guess he had been carrying on an in-depth conversation and telling tales of the best nut storage spots and the latest news from the acorn beds–all with no one attentively listening. That’s rather sad really. There’s a listening time that could be even sadder though–for each of us. There have been times I’ve missed “the still small voice” of God, as I busily made my own decisions, pursued my own designs. Ever found yourself in that same position? to REALLY LISTEN–to the words of Jesus Christ. I don’t know about you, but I could really use some rest for my soul! Come to Jesus and receive His promise. Abide in Him and know His rest, His peace. Our home has a small but lovely back yard and a wooden deck. I love the sound made when I walk across that wooden deck. Don’t know why! There are big maple trees towering overhead that offer bounteous shade and a sprinkling of autumn’s fall leaves. There’s a little table and two chairs, perfect for a quiet conversation. (We could enjoy some time together there, couldn’t we?) There’s a bench where I like to spread out my tea, my Bible, and my laptop. Here and there, flowers bloom in large pots. A rosemary bush scents the air. It’s beautiful to me. When on the deck, there is NO internet connection! This might not seem like a terrible turn of events, and—in the big picture—it really isn’t. But at the moment, it was. First, I grumbled, but of course, that didn’t do any good! Then I decided to be pro-active and tried to s-t-r-e-t-c-h the internet booster out onto the deck. Sadly, the connection lines weren’t long enough. Technologically foiled! So I took the only option there seemed to be. I closed the laptop and just sat there–on the bench, sipping my mug of hot tea. Have you ever felt like God just lit up His will in neon lights right in front of you? There were some hard decisions in there, too. Throughout the week, I had prayed and prayed for direction and for peace, and I prayed that wordless cry of the soul that wells up from deep inside you, accompanied only by tears. But this was different. There were no tears now. I took a deep breath of fresh air. I watched a small nuthatch at the bird feeder. I watched a hummingbird seek out one of our last geranium blossoms. I heard the rustling tree branches overhead. I heard the plunk of hickory nuts falling on and rolling down our neighbor’s roof. I released the worry and stress I had worn like accessories, increasingly added throughout the week. Now this isn’t brain surgery, but once I took my eyes off that list of self-determined to-do’s, I could sense the complete sufficiency of Jesus which superseded the whole list. Decisions and priorities became clear. The Lord restored my soul. Only then, did I come back inside, jot down some notes, and then pop back out and snap a couple photos. Now it’s time to give my Mom a call and text a couple of college students. Then, I’ll make a second attempt at rug cleaning! The laundry, painting, and planting can wait for another time. May the Lord restore you, too, dear friend! For Deeper Insight. . . 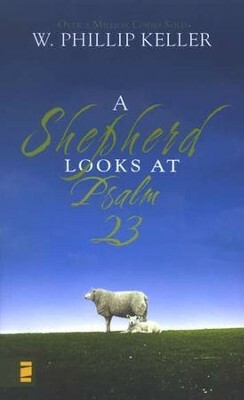 I heartily encourage you to check out A Shepherd Looks at Psalm 23, by W. Phillip Keller. It’s an eye-opening book that unpacks the 23rd Psalm in an accurate, contextual, and most meaningful way. (It is also undoubtedly one of my favorites!) It makes a wonderful gift at Easter or anytime. 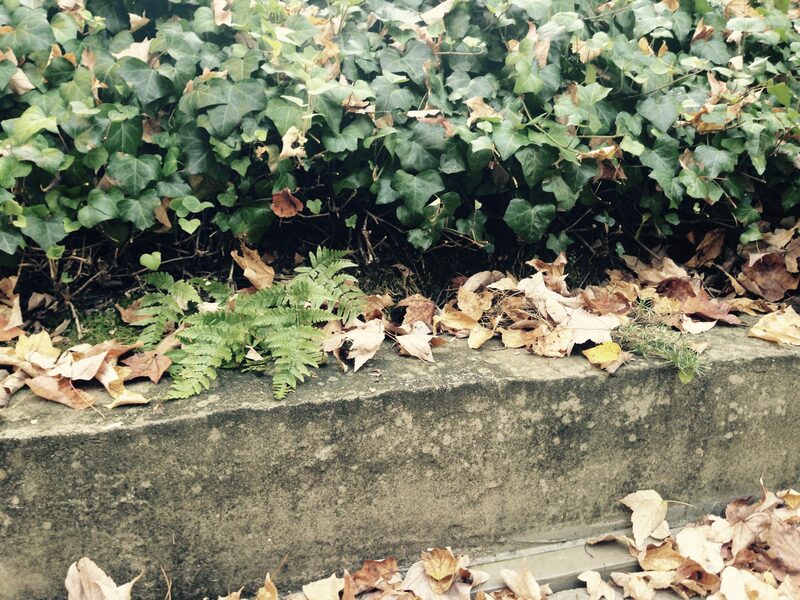 Leaves, Leaves–and More Leaves–OH MY! We’ve been raking the beautiful fall leaves in our yard into many a pile over the last week. Are they falling where you live, too? 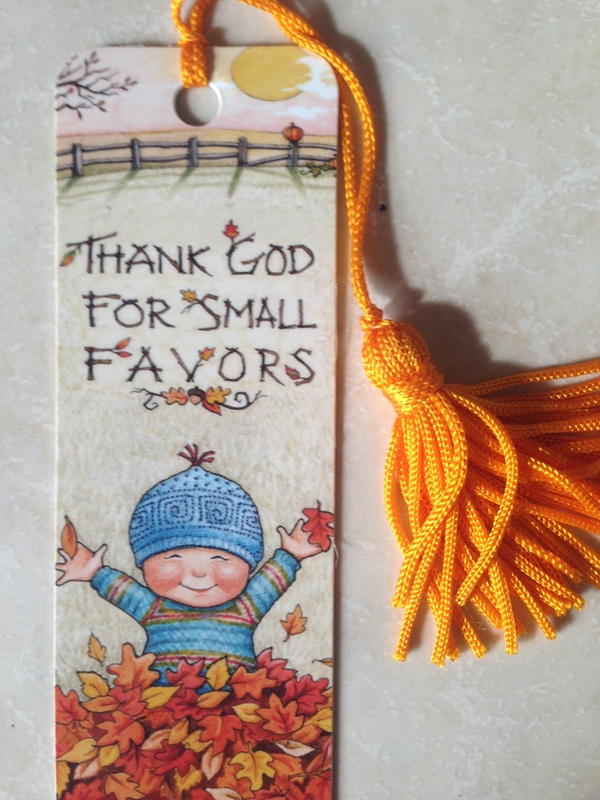 Fall is my favorite season as the leaves become a kaleidoscope of oranges, reds, yellows, greens, and browns. My deck becomes a mosaic crafted by the artistry of our heavenly Father. That got me to thinking… What if we looked at each leaf like a blessing from God? Blessings, too, are each unique and come different sizes and different kinds. Some are bright and beautiful and give us the immediate desire to lift up praise. Some are a little dimmer and rumpled. They may resemble trials more than blessings. But don’t trials bring blessing? The peace of righteousness–what a blessing! Lifted hands take up rakes again. Exercised muscles spread a tarp. Bring on this trial. There’s blessing at the end!